Reports on Friday indicated that Republicans may include a cap on contributions to traditional 401(k) plans in their tax reform package. This change could help GOP leaders with the tax plan's tricky budget math. 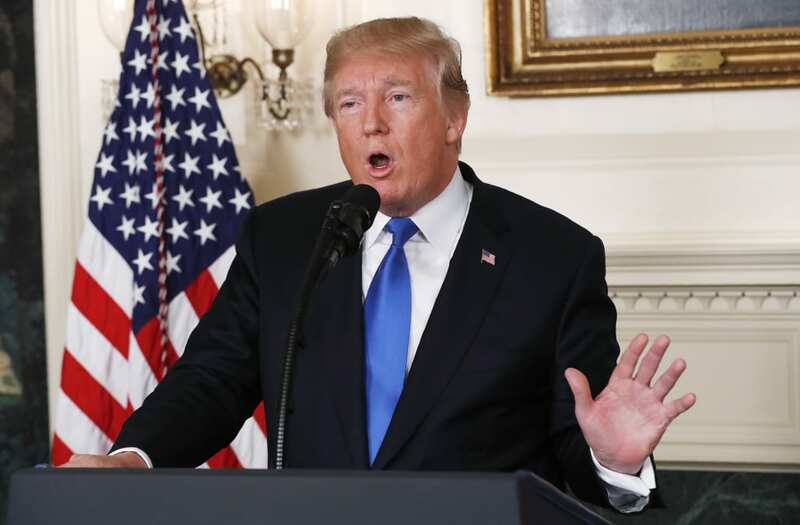 President Donald Trump tweeted his opposition to such a change on Monday, saying 401(k) tax deferment is a "great and popular middle class tax break." President Donald Trump used Twitter to dispel reports that the forthcoming Republican tax reform plan would include big changes to how people could save for retirement. Reports on Friday said that GOP leaders were considering a cap on the amount of money that could be placed in a traditional, tax-deferred 401(k) to help pay for part of their tax plan. On Monday, Trump said this change would not take place because it is a popular middle class tax break. "There will be NO change to your 401(k)," Trump tweeted. "This has always been a great and popular middle class tax break that works, and it stays!" According to reports, Republican House leaders were considering a plan that would cap the annual savings for a traditional 401(k) or Individual Retirement Account at $2,400 and anything saved after that must be placed in a Roth IRA. Roth accounts are taxed as money goes in rather than when it is spent, as opposed to a traditional 401(k). As it stands now, traditional 401(k)s contributions are capped at $18,000 per year for people under 50 and $24,000 for people over that age. While this change would have generated increased revenue to help offset tax cuts, there was concern from some in the asset management industry that this could suppress retirement contributions. There were also questions about the long-term impact on revenue from shifting the tax payments on retirement savings. A 401(k) cap may have decreased revenue in the long run, which would be problematic under the Senate's budget reconciliation rules. Reconciliation, which allows Republicans to avoid a filibuster in the Senate, also requires that any bill being considered must not add to the deficit after 10 years.